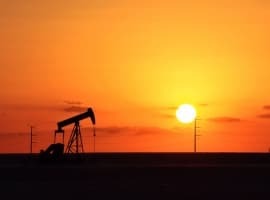 Higher oil prices this year boosted U.S. oil production, and the U.S. oil industry played a large part in America’s impressive second quarter economic growth—the fastest growth since the third quarter of 2014. Real U.S. gross domestic product (GDP) rose at an annual rate of 4.1 percent in the second quarter of 2018, according to the ‘advance’ estimate released by the Bureau of Economic Analysis (BEA) on Friday. The first quarter of this year, by comparison, saw real GDP increase by 2.2 percent. The increase in real GDP in the second quarter of 2018 reflected positive contributions from personal consumption expenditures (PCE), exports, nonresidential fixed investment, federal government spending, and state and local government spending that were partly offset by negative contributions from private inventory investment and residential fixed investment, BEA said. Nonresidential private fixed investment in mining exploration, shafts, and wells jumped to US$129.4 billion this past quarter, from US$109.2 billion in the first quarter of 2018. On an annual basis, the rise in investment in exploration, shafts, and wells soared by 97 percent from the second quarter of 2017. This surge was the second-highest annual gain on record, with the largest booked in 1987, according to Bloomberg calculations. 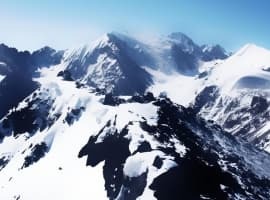 The ‘mining exploration’ subcategory includes all types of mining, but petroleum and natural gas account for 96 percent of it. Meanwhile, U.S. oil production continues to set records. Over the past two weeks, American crude oil production has hit 11 million bpd after having sustained production of 10.9 million bpd over the previous four weeks, according to EIA figures. In the biggest U.S. shale regions, production is expected to jump to 7.470 million bpd in August, up by 143,000 bpd from an estimated 7.327 million bpd in July, EIA’s latest Drilling Productivity Report says. 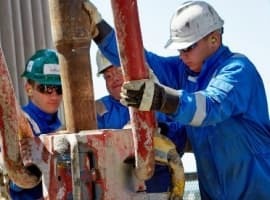 Not only is U.S. shale production growing, but the shale industry as a whole is expected to become profitable this year for the first time in history, according to estimates by the International Energy Agency (IEA). “On this basis, we estimate that the shale sector as a whole is on track to achieve, for the first time in its history, positive free cash flow in 2018. This result is all the more impressive given the context of rising investment,” IEA’s analysts say, noting that there are downside risks associated with above-ground constraints such as the Permian takeaway capacity bottlenecks, and competition from other sources of oil. Regarding the U.S. economic growth, some economists doubt that the pace from the second quarter can be sustained. “Personal consumption would need to keep up with this impressive pace to see a solid second half,” Ian Lyngen at BMO Capital Markets told CNBC.